National Sovereignty and Children's Day is a public holiday in Turkey celebrated annually on April 23. It marks the anniversary of the first session of the Grand National Assembly of Turkey in 1920. In 1919, the Turkish nationalists began the Turkish War of Independence. They were led by army officer Mustafa Kemal. In March 1920, Mustafa Kemal ordered to hold elections for the new national parliament that would be seated in Ankara. On April 23, 1920, this new parliament named the Grand National Assembly held its inaugural session with Mustafa Kemal the speaker. A year later, the anniversary of the parliament's first session was declared a public holiday named National Sovereignty Day. In 1927, Mustafa Kemal Atatürk also dedicated it to children under the motto “Our children are our future”. Since then, the official name of the holiday has been National Sovereignty and Children's Day. Since 1979, International Children's Festival has been annually held on the occasion of the holiday. It is organized by the Turkish Radio and Television Corporation (TRT). 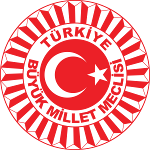 Groups of children from different countries are invited to Turkey to take part. They participate in the festivities, wearing traditional costumes of their home countries.